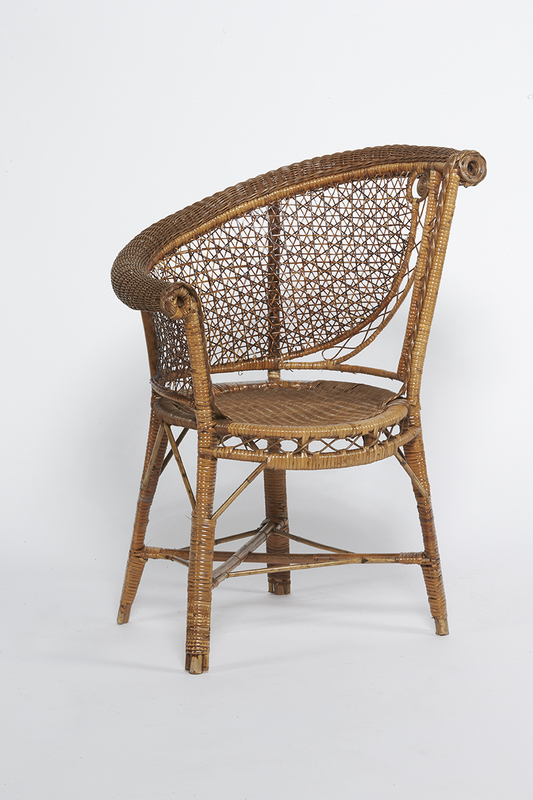 Asymmetrical rattan chair made probably at the beginning of the 20th century in France. The very detailed work on the backrest suggests that it is a chair made by Perret & Vibert House. 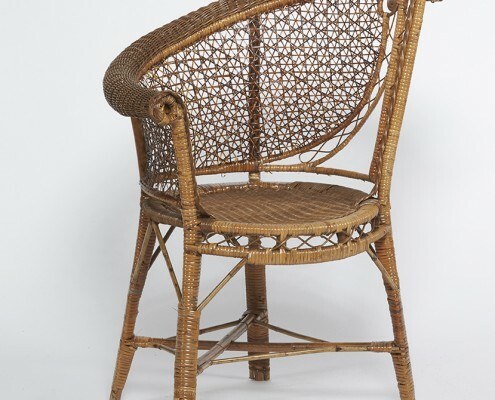 The exoticism dear to the Second Empire explains the craze for rattan furniture. It took off with the massive importation of raw materials from Asia to make modern furniture increasingly lighter and more decorative. It is in this favourable context that the big Parisian houses are developing. The rattan furniture is perfectly adapted to sophisticated interiors as well as conservatories and other winter gardens. This new space, usually located in front of the house, extends the living room and dining room. It is a reception area impregnated with an idle and luxuriant atmosphere. The nature is installed in the interiors and goes with the refined interior decoration.